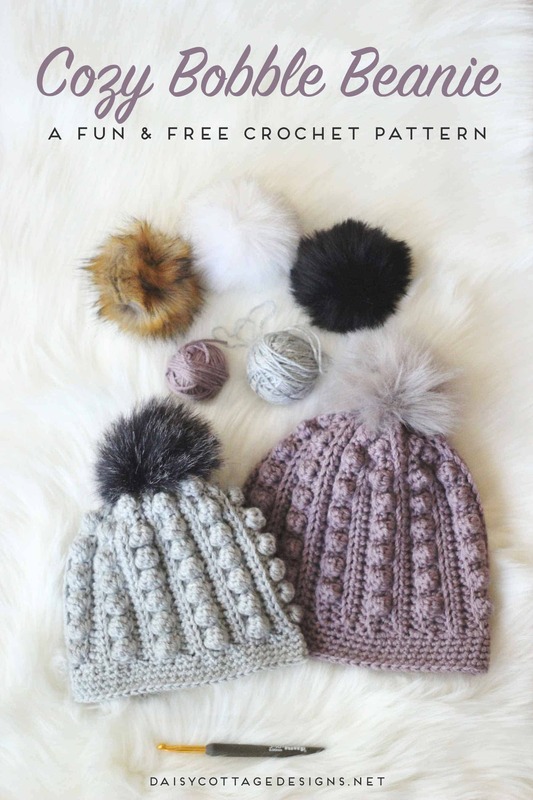 Last year’s trend in crochet hats seemed to be messy bun beanies; from what I’ve noticed, this year it’s bobble beanies and bobble toboggans and fur pompoms. I have to say, I’m liking this year’s trend better. I love crocheting bobbles. I think the texture given to hats, blankets, and just about anything else is fun and adds great visual interest. 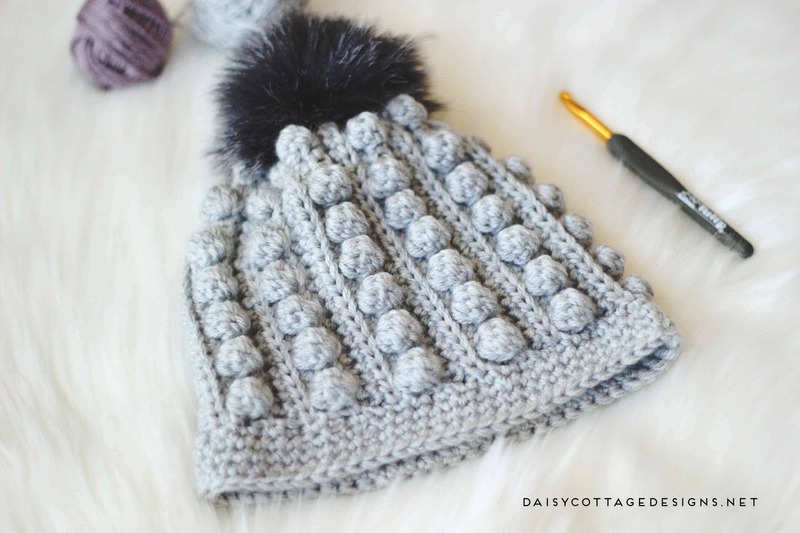 With that in mind, I recently posted this tutorial for a fun crochet bobble texture, but I wasn’t 100% sure at the time what I was going to do with it. A few days later, I decided that I was going to make a hat. This hat is worked differently than most that I’ve made. You’re going to create a rectangular piece of “fabric” first. Then, you’ll add a virtually invisible seam and add a brim. The top will be cinched before adding a faux fur pompom. Sound complicated? I assure you it isn’t. Keep reading for the pattern below. 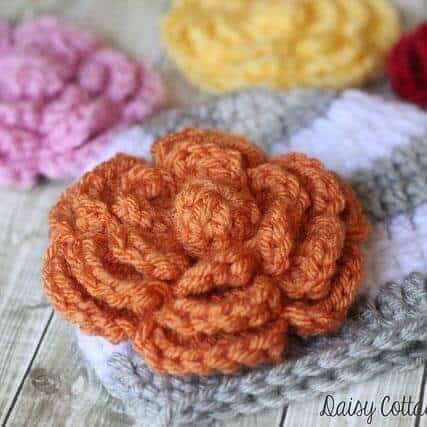 Add to your favorites on Ravelry! 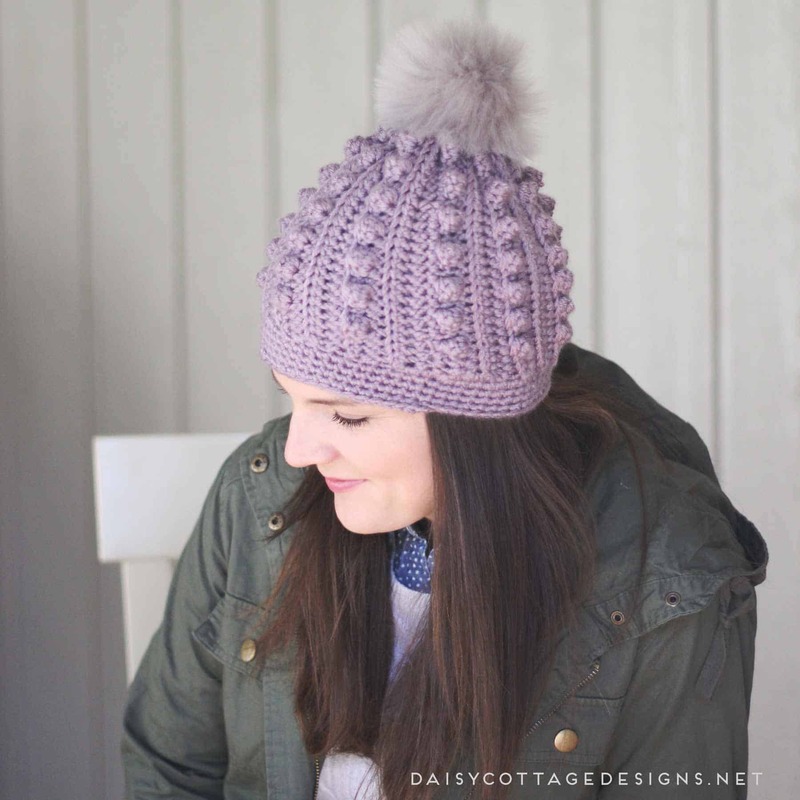 This pattern is worked using two strands of worsted weight yarn held together. 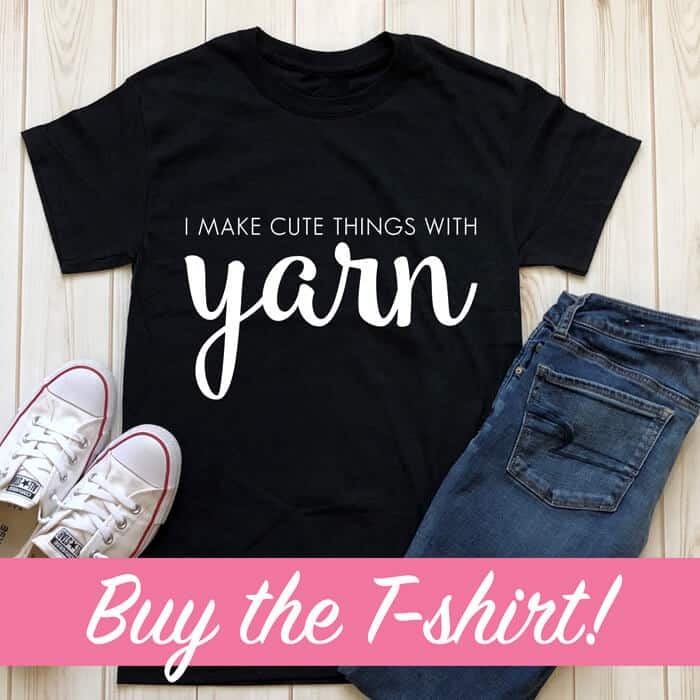 You could replace this with one strand of bulky or chunky yarn, but I’m not sure how much you would need since I haven’t made it that way. This pattern starts out working in rows, but you will switch to rounds for the band. Your turning chains do NOT count as stitches in this pattern. 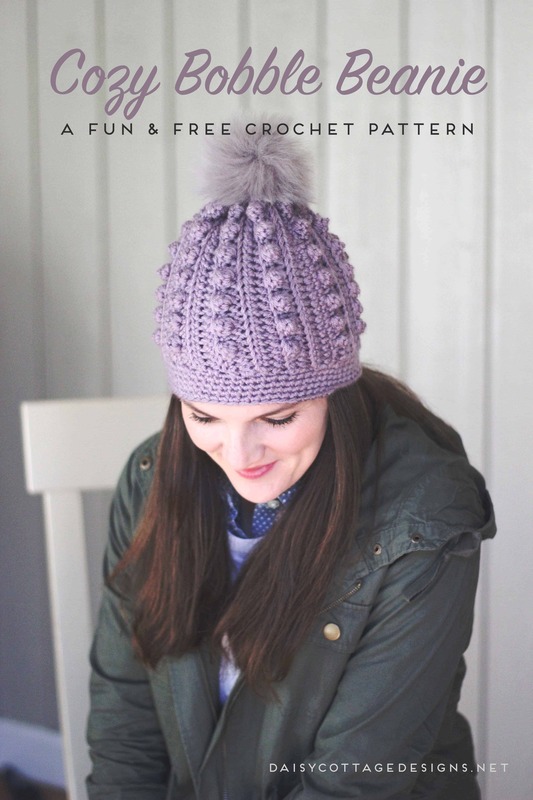 If you’d like a slouchier hat, add 6 stitches to your beginning chain and 2 rows to your brim. Gauge Swatch: The following swatch should create approximately a 4 inch square. If your square is bigger or smaller, adjust hook accordingly. 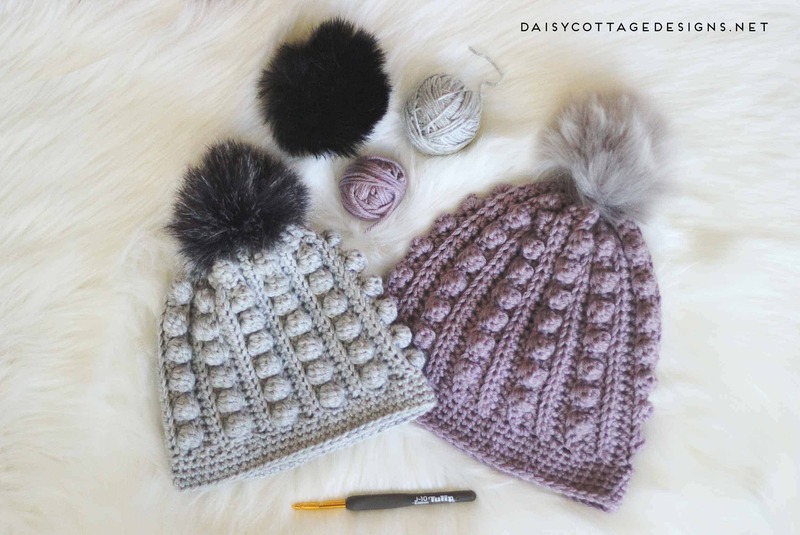 Bobble: If you’re familiar with decrease stitches or double crocheting stitches together, you will dc4tog in the same stitch. If you need step by step instructions, keep reading. Yarn over, insert hook into the stitch, pull up a loop. Yarn over, pull through the first two loops on hook. yarn over, insert hook into the same stitch, pull up a loop. Yarn over, pull through the first two loops on your hook. There should now be 3 loops on your hook. Yarn over, pull through the first two loops on hook. There should now be 4 loops on your hook. Yarn over, pull through the first two loops on hook. There should now be 5 loops on your hook. Yarn over, pull through all loops. HDC in the Back Loop Only: Rather than working into both loops as you usually would, just work into the back loop. If you need more instructions, please see this video. Ch 26 somewhat loosely. Leave a long tail at the beginning for closing the top of your hat later. Your starting chain should measure approximately 9 inches. If you find that you’re much shorter, go up a hook size. Now it’s time to work our first bobble row. If you haven’t already, I recommend practicing a few before you start. Row 8: sc in the first stitch and in the next two stitches. *bobble in the next stitch, sc in the next two stitches across. * ending with a sc in the last stitch. (you should have 17 sc and 7 bobble stitches when you complete this row for a total of 25 stitches). Repeat rows 5-8 nine more times for a total of 44 rows. At this point, lay your finished piece out longways with the bobbles up. Fold your rectangle in half so that the stitches on the short ends match up. 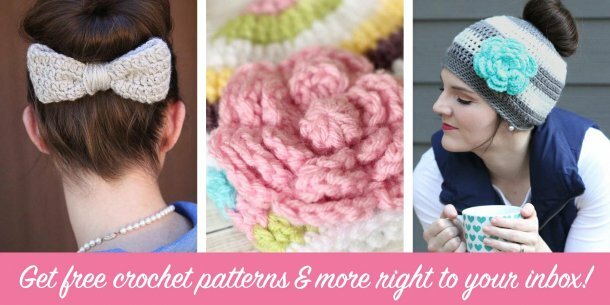 Single crochet to join so that you have a tube. 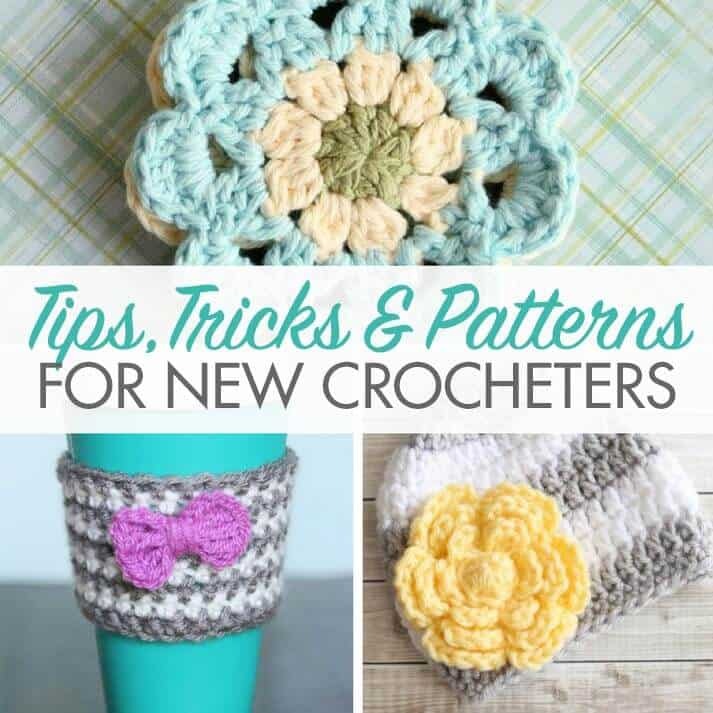 You could also whip stitch this together, but I prefer using a single crochet join. At this point, I do not cut my yarn. I chain one, turn my work so that I can work into the bottom of the hat to create the band at the bottom. Round 1: work 62 sc around the bottom edge of your hat. I do not sl st to join. I just continue working in spiral. Mark your first stitch so you don’t lose track of where a row begins and ends. Remember how you left that long tail? 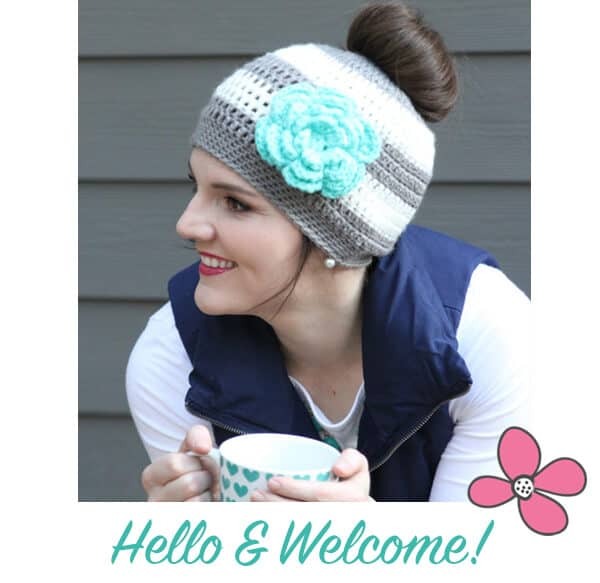 Now it’s time to cinch the top of your hat so you don’t have a gaping hole up there. You’re going to weave into every other stitch. After you’ve done that, pull tight to close, and hide your tail by weaving it on the inside of the hat. Here is a video showing how that’s done. Notes: Use one hook size smaller than you needed to achieve the correct gauge given above. So if you need a J hook for the adult beanie, use an I hook for the children’s beanie. 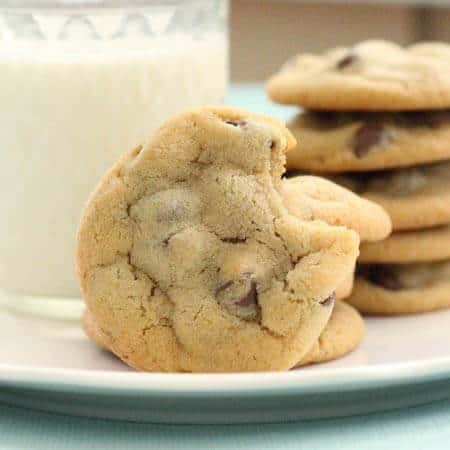 Ch 29 somewhat loosely. 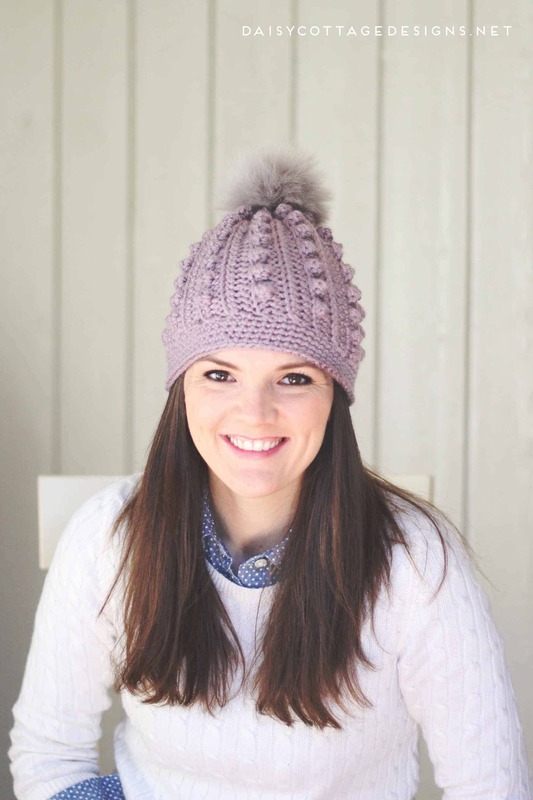 Leave a long tail at the beginning for closing the top of your hat later. Yes – I know the chain is longer on the smaller hat. The smaller hook size will take care of that. Your starting chain should measure 8 inches long. If you’re much shorter than this, go up a hook size. Row 8: sc in the first stitch and in the next two stitches. *bobble in the next stitch, sc in the next two stitches across. * ending with a sc in the last stitch. 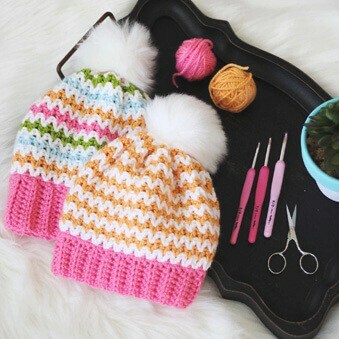 (you should have 20 sc and 8 bobble stitches when you complete this row for a total of 28 stitches). Once I finish this, I do not cut my yarn. I chain one, turn my work so that I can work into the bottom of the hat to create the band at the bottom. 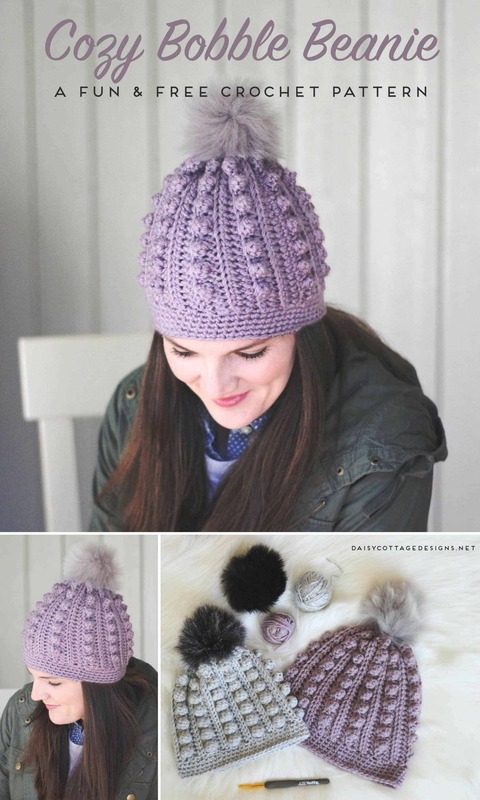 Use a long piece of yarn to attach your fur pompom to the top of your hat. If you’d like a video to walk you through the process, this one is helpful.